Business icons with long shadow. 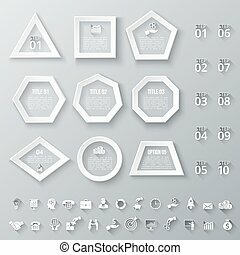 Vector set of 16 flat business icons with long shadow. 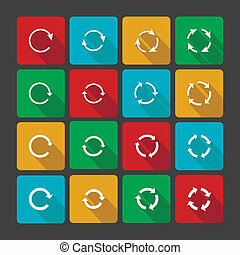 Set of geometric shapes for infographic. Template for diagram, graph, presentation and chart. Set of business icons with long shadow. 10 steps.